is a 2019 award winner for computer IT services in Minnesota! 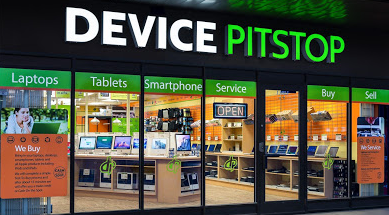 Device Pitstop Of Maple Grove has received hundreds of reviews on four verified sites with an average rating of 4.84 stars, earning them a fantastic Rating Score™ of 96.38 and a 2019 Top Rated Local award for ranking among the top 10 computer IT service in Minnesota. “Yet again, Device Pitstop meets and exceeds our expectations. They have been helpful, honest and very affordable. We would recommend them highly! Thanks for the great customer service.” -Cristen S.
In order to learn a little more about Device Pitstop Of Maple Grove, we took a few minutes to talk with Seth, the manager of the award-winning business. Seth credits Device Pitstop Of Maple Grove’s strong online reputation to the fact that they emphasize offering the best customer service by treating customers like family. The business has been operating for over four years and have much to show for it! “These guys are great! [They were] very helpful! I had a cracked screen on my phone, but when I took the phone in, they told me just the screen protector was cracked. I ordered a new one for $7.00. It’s nice to run into honest business people!” -Brad C.
Congratulations to the team at Device Pitstop Of Maple Grove for being a 2019 Top Rated Local award winner, and thank you so much, Seth, for taking the time to speak with us! Visit their website here!